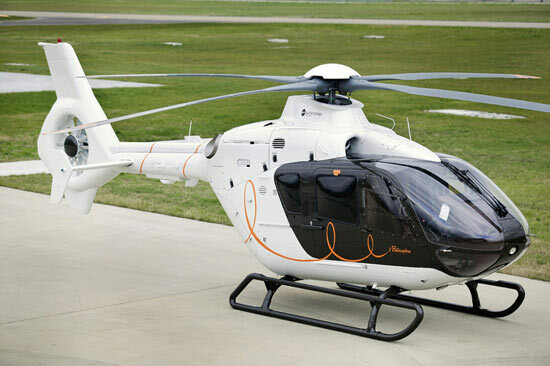 the french fashion company hermès recently teamed up with eurocopter, the world’s third largest aerospace group to create l’helicoptre par hermès, a luxury helicopter. the new helicopter was first unveiled at the national business aviation association’s 2007 conference in atlanta, after years in the making and months of intense preparation. the design was carried out with the help of gabriele pezzini, an italian designer. designboom’s new article on the helicopter is now online, featuring a behind the scenes look at the process involved in building the new helicopter and all the intricate details of the final design.